Presentation boxes are available for A5, A4 and A3 Coffee Table Book, all three Alpha Storybook albums and all four XW Storybook albums. Espresso Square (20x20cm and 30x30cm) and Latte boxes to follow. Manufactured from rigid board and wrapped in black. Make your selection in the 'Finishing' option at the ordering stage. 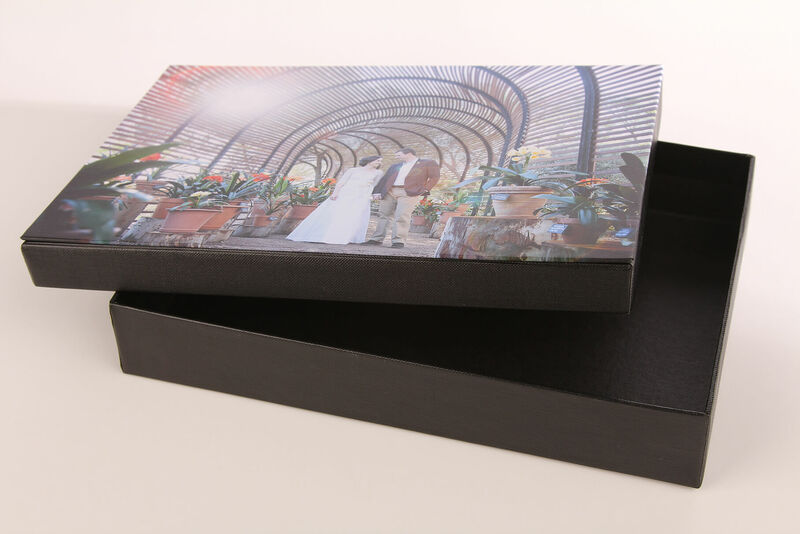 Presentation Boxes and Personalised boxes can also be viewed or purchased directly from us at Studio22.